As a kid I was fascinated by maps and they places they represented – Who lives there? What do they do? What does it look like? – so while relaxing before supper at Piebird, I took the car out for a ten minute excursion to see just what was Wade’s Landing. 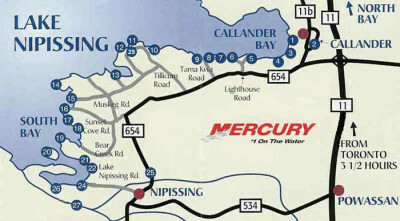 It was a dot on the map and I can’t resist exploring a dot on the map. Wade’s Landing isn’t really a settlement – it is more just a small docking station for personal boats on Lake Nipissing at the end of Lake Nipissing Road, five minutes from Nipissing Village. 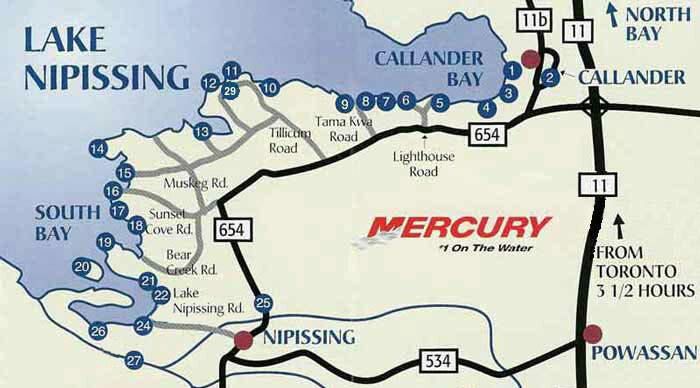 There’s a bait shop and variety store, the Fish Bay full service marina, and a number of different camps, cottage rentals and fishing outfitters in the vicinity – more than 30, in fact. Lake Nipissing Road twists west and south after you’ve hit the marina but I didn’t go further than the lake front. 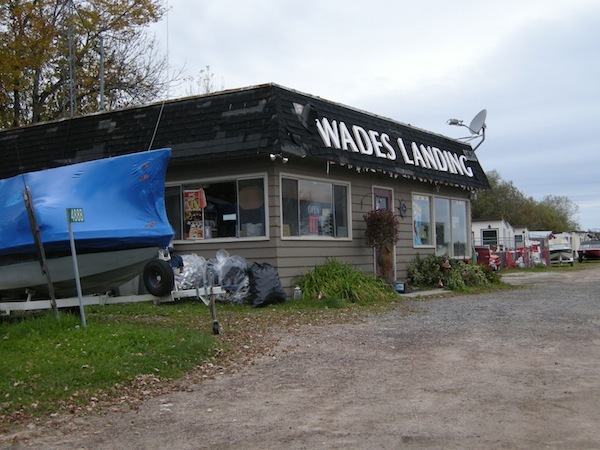 Wade’s Landing’s boat shacks are reminiscent of Long Point, Port Rowan, and Port Stanley – southern Ontario’s blue-collar cottage country along the north shore of Lake Erie.